If you live in the Northeast, it may be time to go vegetarian. 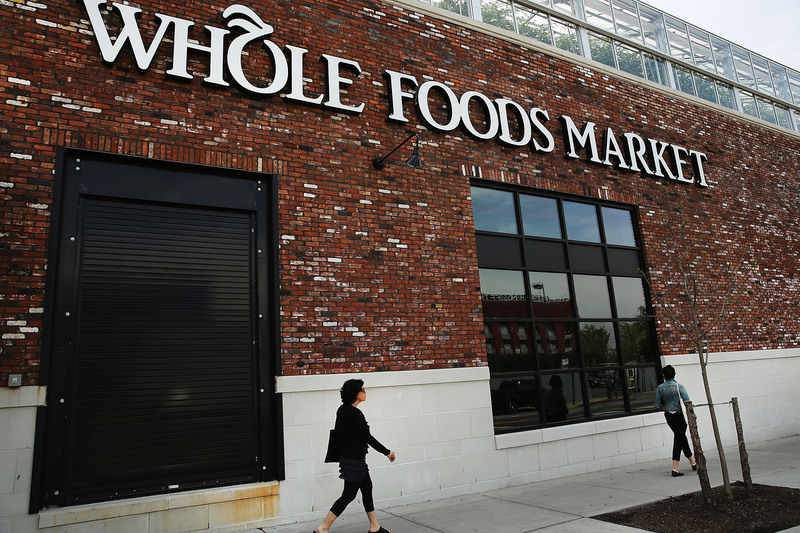 A Missouri-based meat company, Fruitland American Meat, is recalling beef sold in Whole Foods throughout the Northeast because it may pose a risk of mad cow disease. Shudder. According to the U.S. Department of Agriculture, a distribution center in Connecticut that provides for every Whole Foods market in New England received the compromised beef from Fruitland American Meat in Jackson, Missouri. In all, about 4,000 pounds of beef had to be recalled. It's not just any ribeye or filet that has potentially been affected. USDA officials said in a statement that the bone-in “Rain Crow Ranch Ribeye” and quartered beef carcasses were both recalled. The two meat products have the USDA inspection number "EST. 2316," and were produced between September 2013 and April 2014. According to the USDA, the beef is being recalled because the dorsal root ganglia, which is part of a cow's central nervous system, may not have been completely removed from the cattle. The agency requires that the dorsal root ganglia must be taken out of all cattle once they're 30 months old because mad cow disease, which attacks the nervous system, can affect those tissues. However, Fruitland American Meat told The New York Times that the USDA had made an error — their cattle, the company said, were only 28 months old, which means there's no health threat. If you bought beef from Whole Foods recently, there may be no re to freak out just yet. The USDA is classifying the recall as Class II, which means there's only the "remote probability" of a health scare. The health risk is categorized as "low" on the USDA website. Still, mad cow disease — like its name implies — is nothing to laugh about. Mad cow disease, or bovine spongiform encephalopathy, is a fatal degenerative neurological disorder. When it surfaces in humans, the disease is known as the new variant Creutzfeldt–Jakob (vCJD) disease, which was first identified in 1996, according to the Centers for Disease Control and Prevention. The CDC suggests that there's a "casual relationship" between mad cow disease in cattle and vCJD in humans. However, the CDC notes that the health risk is low. Since 1996, there have only been four confirmed cases of vCJD in the United States. The most recent vCJD death occurred in Texas last May. Although Whole Foods, a popular organic foods chain, is most affected by the recall, several other restaurants are also at risk. The USDA confirmed that a restaurant in New York City and another in Kansas City, Missouri, also received the beef. The USDA would not name these two restaurants.